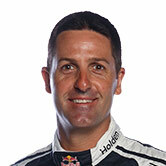 Triple Eight team manager Mark Dutton said he was surprised to get through a ‘very optimistic’ test program for the three-car squad at Queensland Raceway. 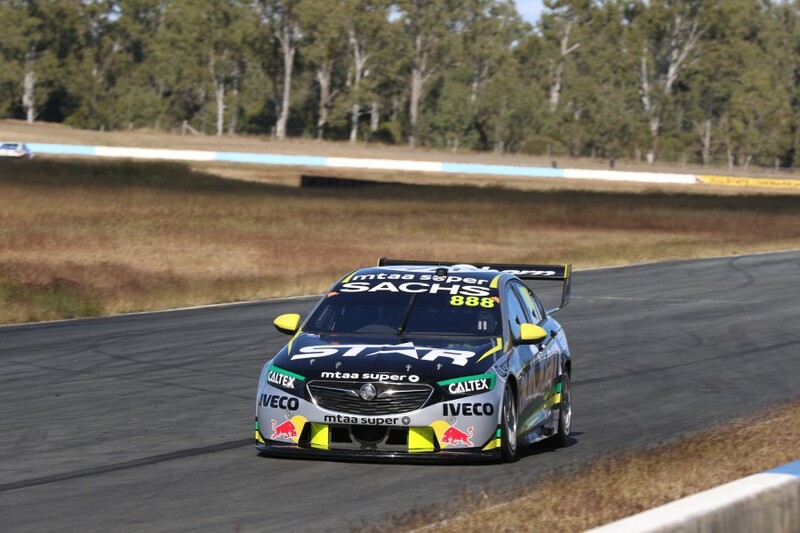 Today marked Triple Eight’s first in-season test with the ZB Commodore, which was designed and homologated by the Brisbane-based outfit for the 2018 season. Making a flying start with five wins from the first eight races, the team has struggled to consistently find the ‘sweet spot’ with the cars over recent events, particularly in qualifying. That increased the importance of today’s test, which took place alongside arch rivals Shell V-Power Racing and single-car squads Tekno Autosports and Matt Stone Racing. 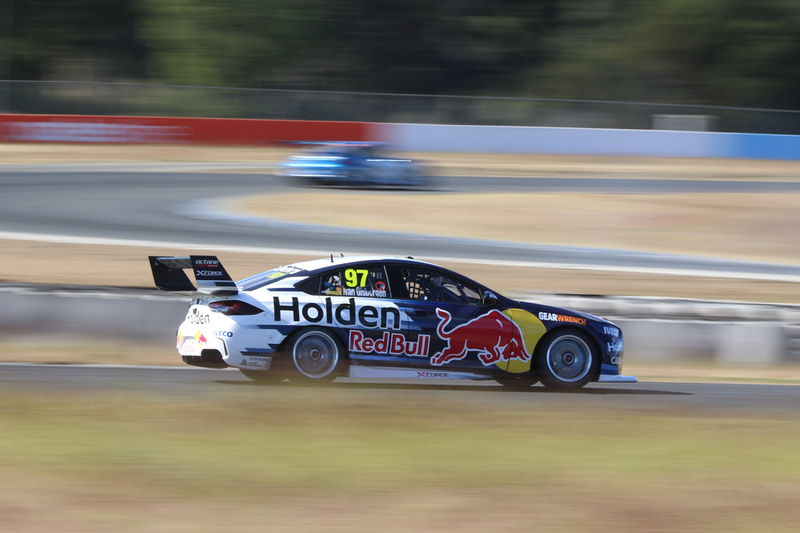 Triple Eight’s cars clocked less laps than what is typical on a test day, which Dutton said was all part of the plan. “We just chose to do some set-up changes that took longer,” Dutton explained of how the day played out. “You do them any time, but with a new model, you want to do some of those bigger changes that you don’t do when you’ve had the model for three-plus years. 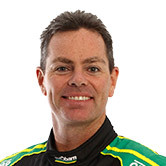 “That’s why we were doing some of those, putting the car on the [set-up] patch, taking longer to do bigger changes. “Even though there was less [laps than usually seen at a test day], it was still a lot,” he added. “Looking at the test sheets, we didn’t think we’d necessarily get through them all, but all three ran faultlessly, which was a credit to everyone preparing the cars. “That’s your killer of a test day. If you have a little rattle, vibration or failure, bang, you drop an hour or two, whereas today, nothing went wrong. “There wasn’t a single mechanical issue, which meant we could get through our very optimistic list of things. Dutton described today’s fine weather as perfect for testing, allowing accurate run-to-run comparisons, despite a limited pre-marked tyre bank. 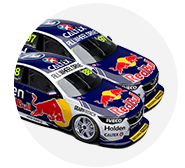 With the bulk of the teams testing this week, spread between Ipswich and Winton, how the running impacts the pecking order at Hidden Valley remains to be seen. Although the test was productive, Dutton says translating it into improved performances at upcoming events isn’t a simple task. “One of the tricks that comes out of a day like today, which was so positive, is you can’t throw everything on the car,” he said. “Especially when you’ve got three cars, there’ll be some overlap of ‘we found this was good, we found that was good’. “There’s still lots of questions to come out of today and then trying to get some answers for Darwin. 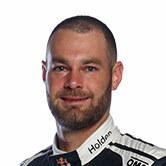 Triple Eight's three regulars Jamie Whincup, Shane van Gisbergen and Craig Lowndes were joined at the circuit today by Steven Richards, who will again share Lowndes' entry in the PIRTEK Enduro Cup. 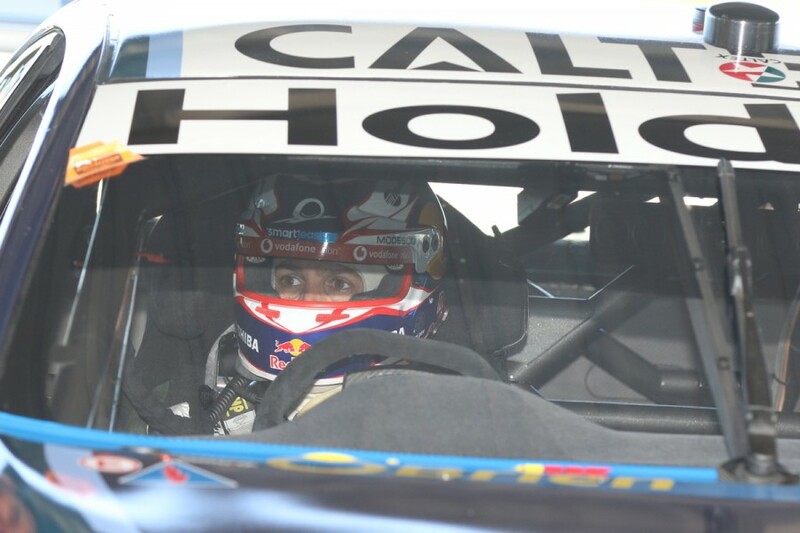 It marked Richards' first laps behind the wheel of the ZB Commodore, after planned running in the additional driver practice at Winton was called off due to wet weather.